A forward-thinking executive and visionary serial entrepreneur, Michael disrupts one industry after another, from Online Marketing and Reputation Management to Customer Experience (CX) and Cryptocurrency. After studying Int. Business in Regensburg, Germany, and La Rochelle, France, Michael founded his first startup in 2005, which became Germanyís leading telecommunications portal. In 2007, Ambros offered his digital marketing expertise to portfolio companies within European Founders Fund/Rocket Internet. In early 2008, Ambros launched his second company, Medici Internet AG, an agency specializing in performance and affiliate marketing. He now serves on the Board of Directors. In summer 2008, Ambros launched eKomi to disrupt the Reputation Management industry by permanently solving the problem of fake reviews. Fast forward to 2018, eKomi is Europeís premiere and largest independent provider of authentic, verified, transaction-based reviews and ratings. Officially partnered with Google, eKomi has over 200 employees headquartered in Berlin, Germany, with offices in London, Madrid, and Los Angeles. Since its founding, eKomi has expanded from Ratings & Reviews SaaS to become the global one-stop solution provider for Market Research, Reputation Management, and CX Programs. Today, Ambros is heading eKomiís strategic execution as CEO to capture the untold value of social commerceóauthentic reviews, transaction-based referrals, and word-of-mouth marketing. 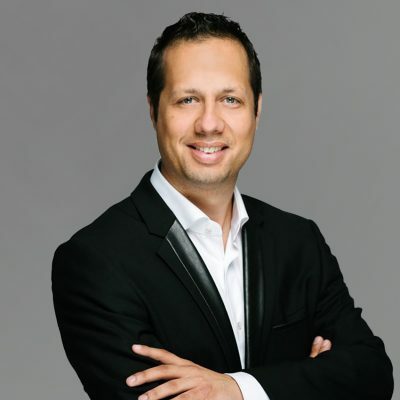 Michael Ambros areas of expertise include Blockchain, Seller Ratings & Reviews, Cryptocurrency, Customer Experience (CX), Customer Feedback, Digital Marketing, Ecommerce, Employee Ratings & Reviews, Industry Disruption, Lean Startup, Online Marketing, Product Reviews, SEM & SEO, Ratings & Reviews, Social Commerce, and Word-of-Mouth (WOM).